Get up and going with WordPress in under 5 min! Every website needs an integrated web hosting component, a secure and stable online presence to host website files. This is what we provide; a stable Canadian based hosting platform with an industry standard management control: cPanel. We are the web hosting layer. Partner with us and earn monthly commissions! Get started fast! We provision immediately, automatically. Cloudflare(tm) capability means maximum acceleration! With a 99.99% up-time record your website will always be online. Skip the hassle and be up and going quickly. Including POP/IMAP and spam protection. 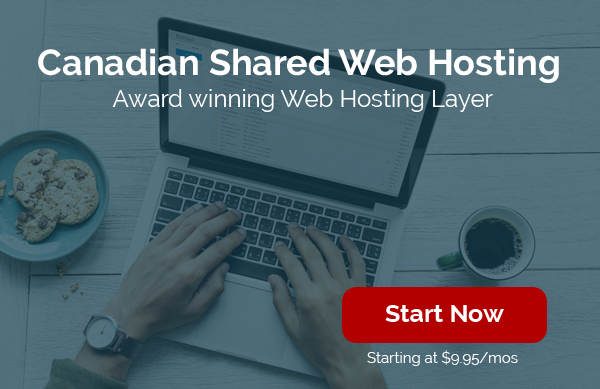 Why do I want web hosting in Canada? Hosting your website in Canada puts you closer to your audience or market. It doesn’t take as many “hops” through the Internet to get from their location to your Canadian based website. Your site will respond faster, you will get better results. 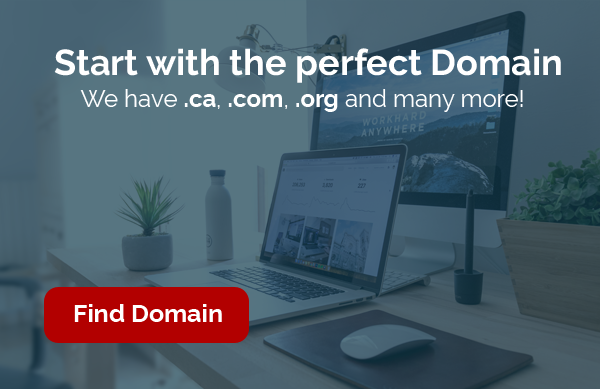 Every hosted website must start with a Domain name, a name that is unique to you. We can provide both the domain name, and the hosting for that domain. We can do all the heavy lifting for you so you can focus on look and feel, functionality, and content.